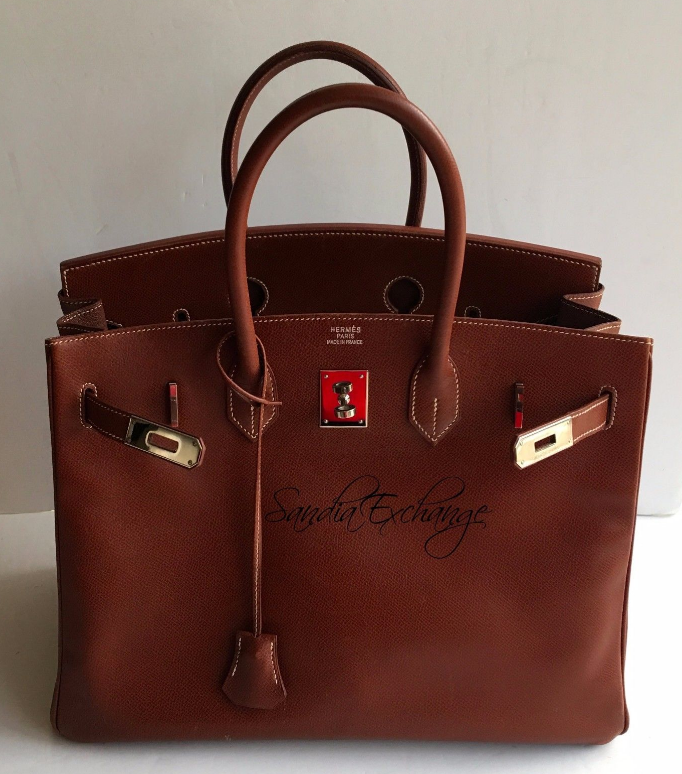 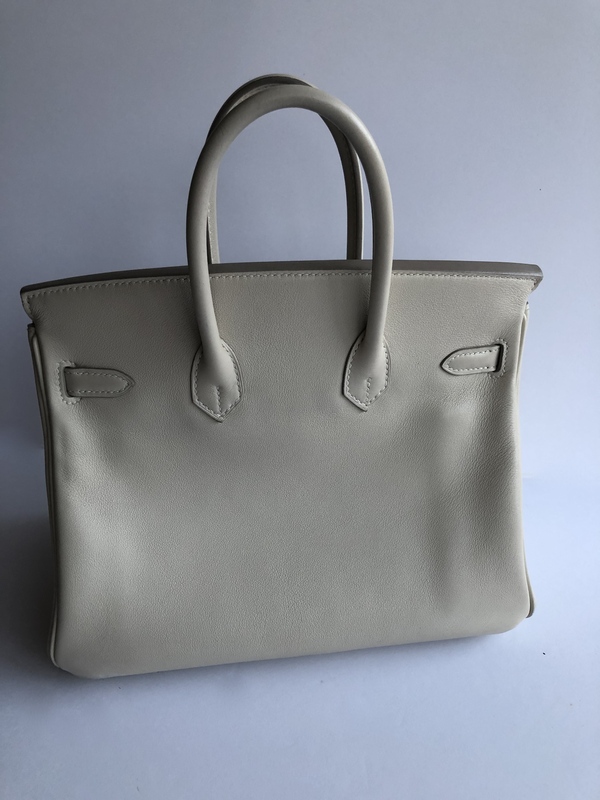 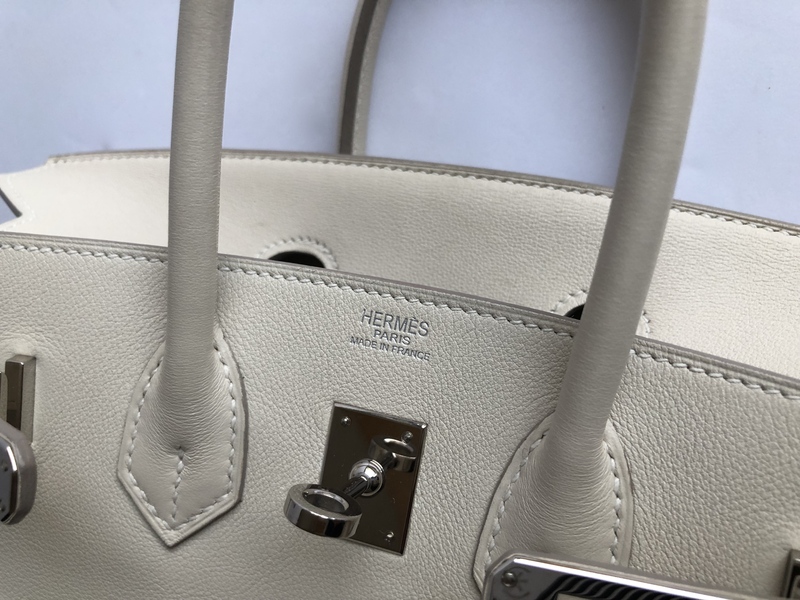 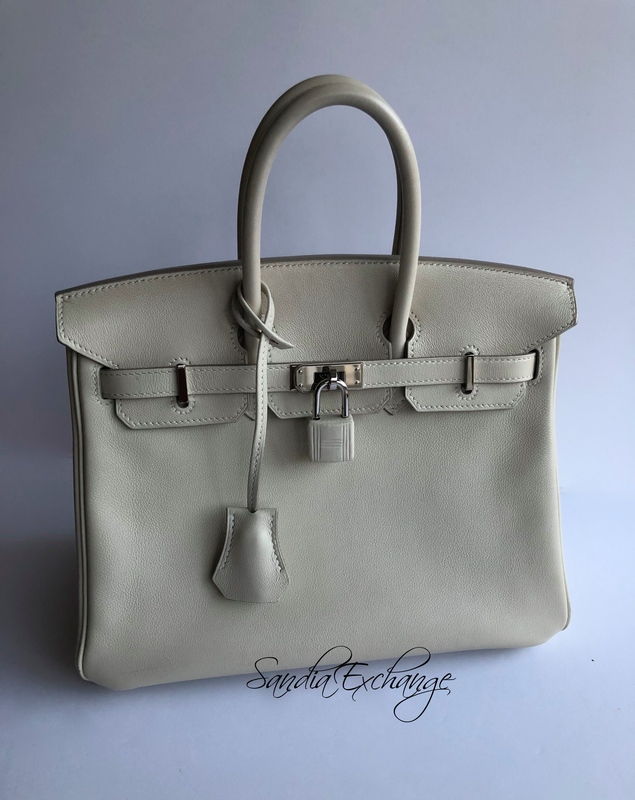 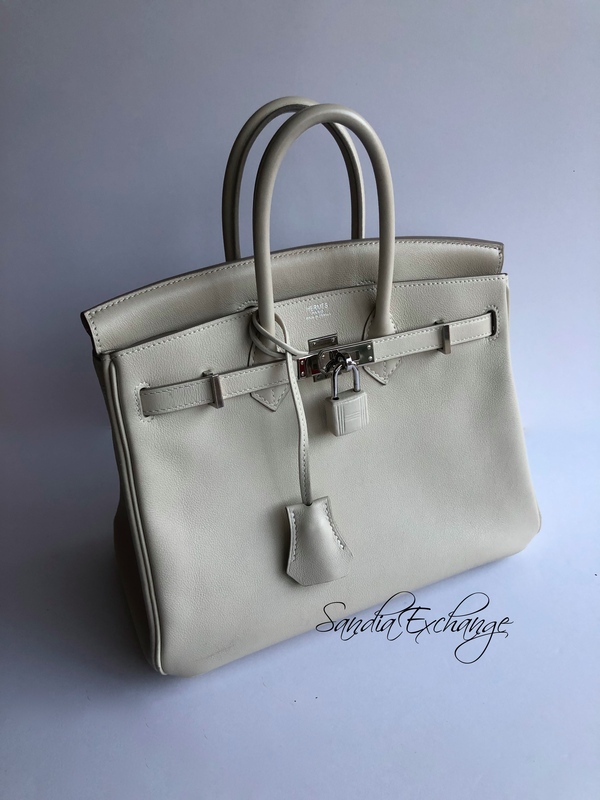 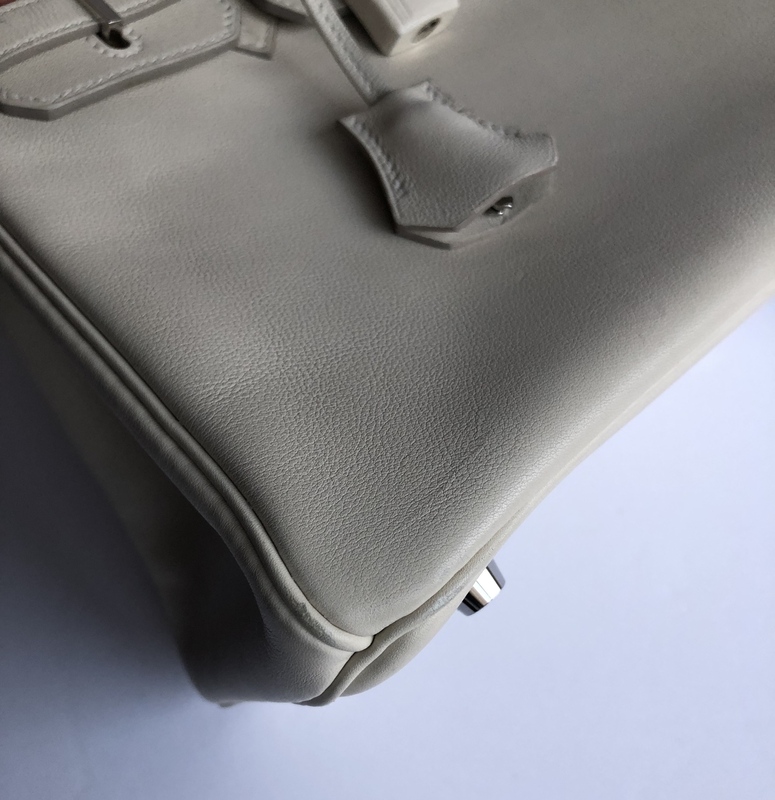 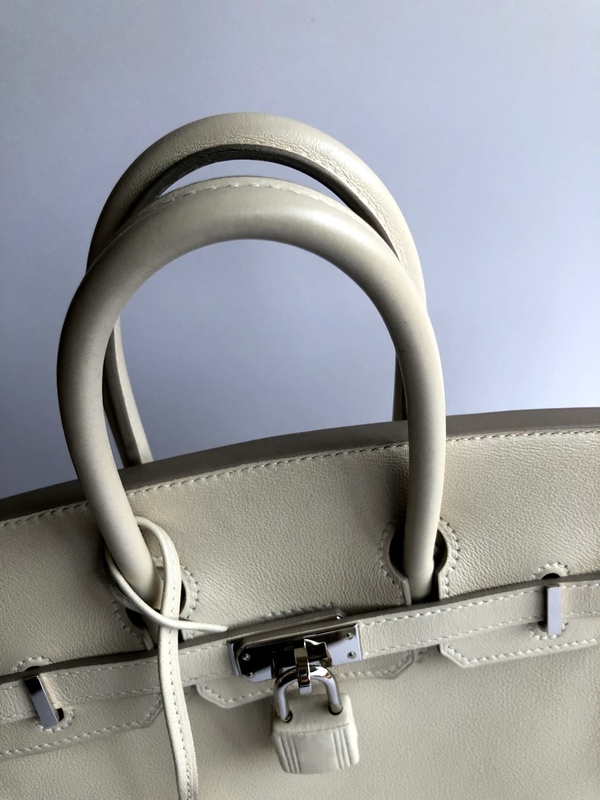 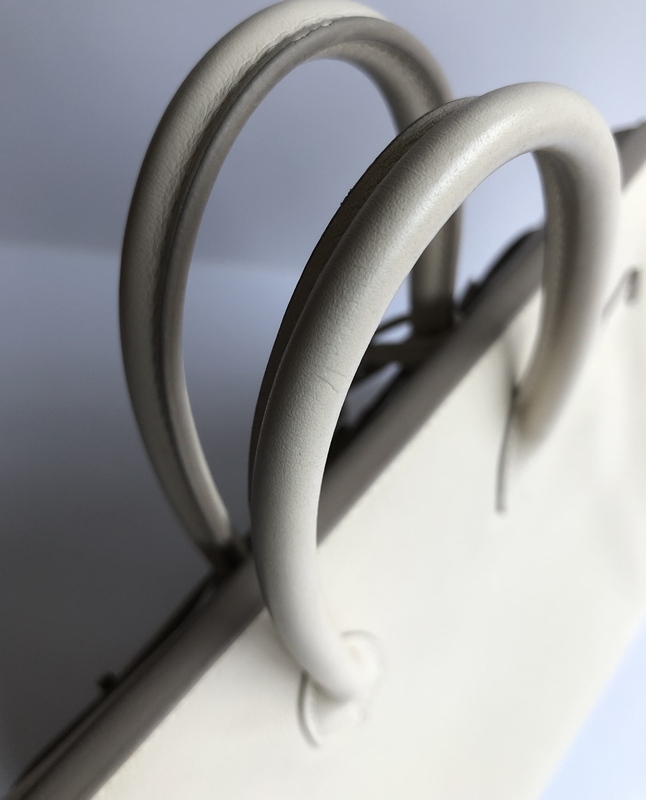 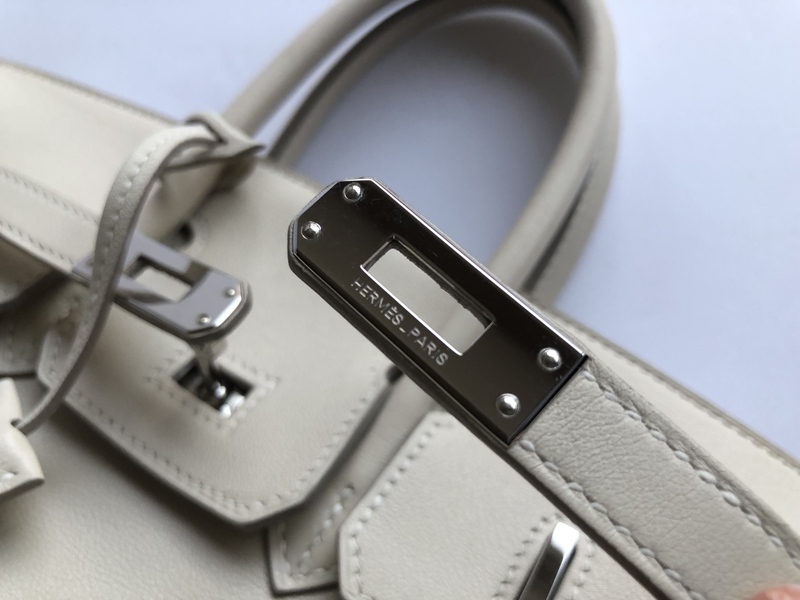 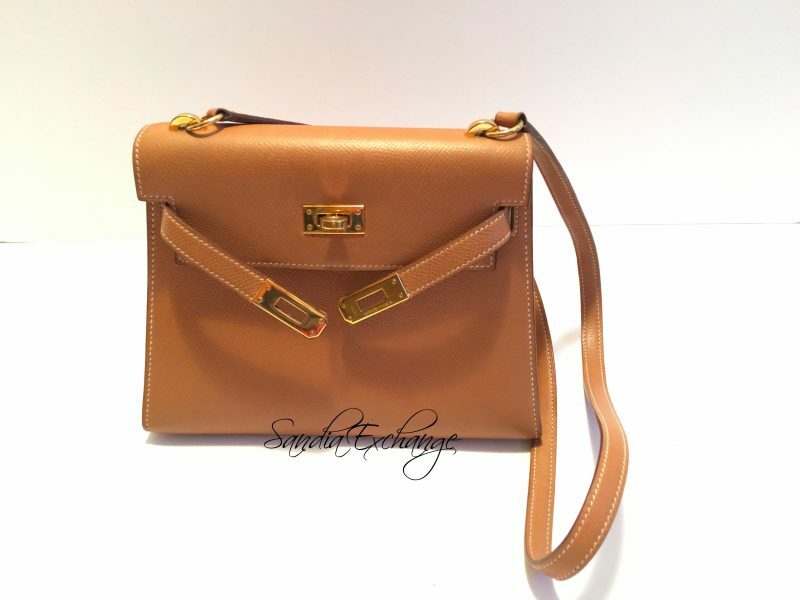 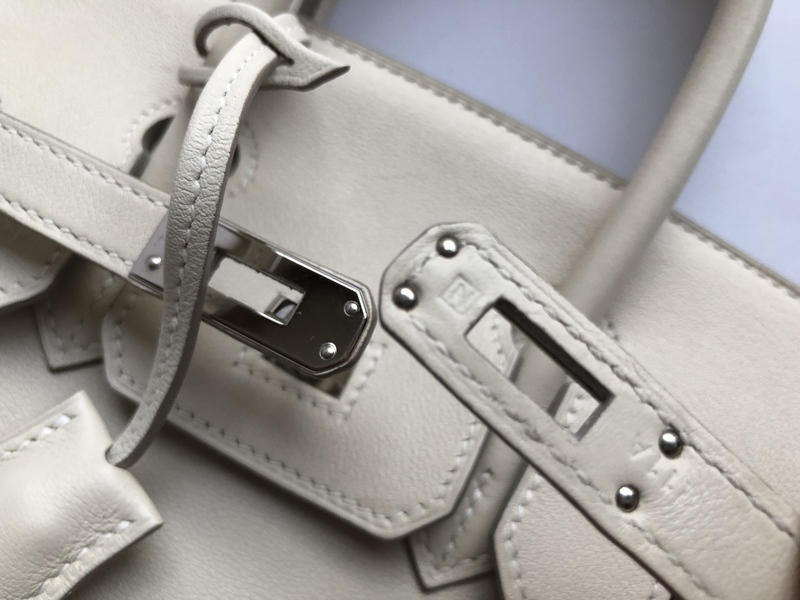 “This Birkin is in excellent condition. 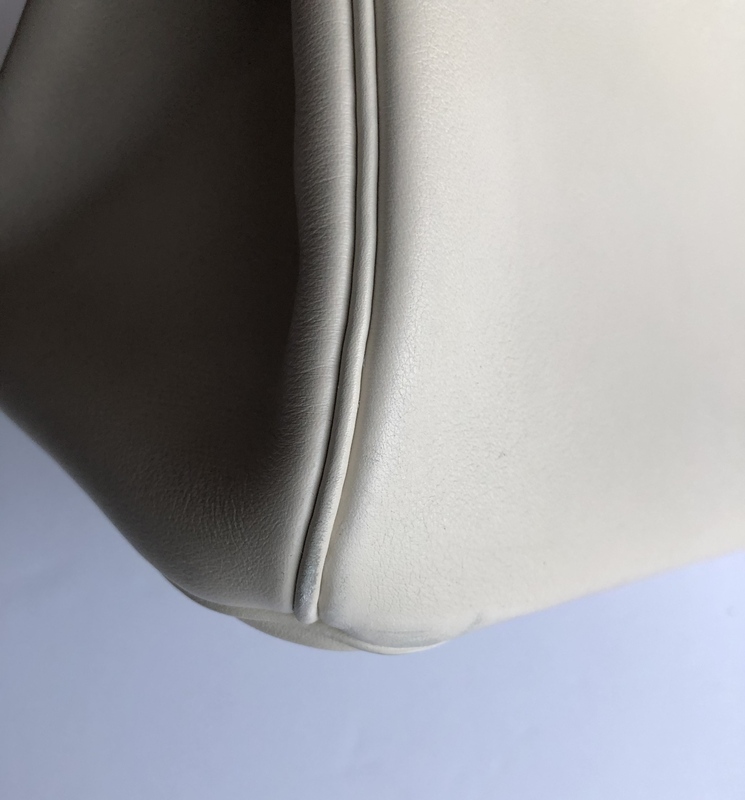 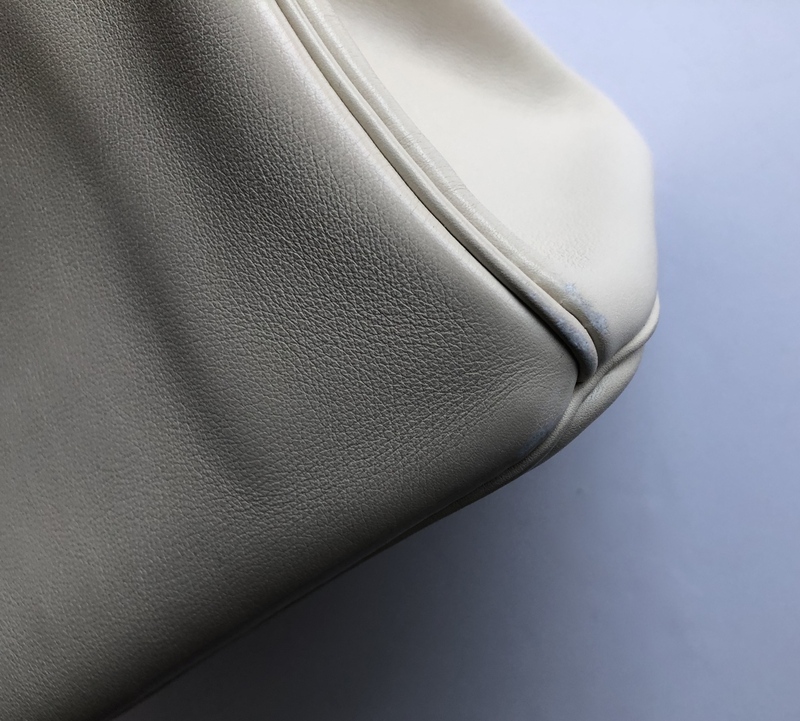 The leather is Swift and the color is cream. 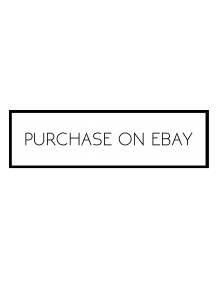 The blind stamp is an N in a square (2010). 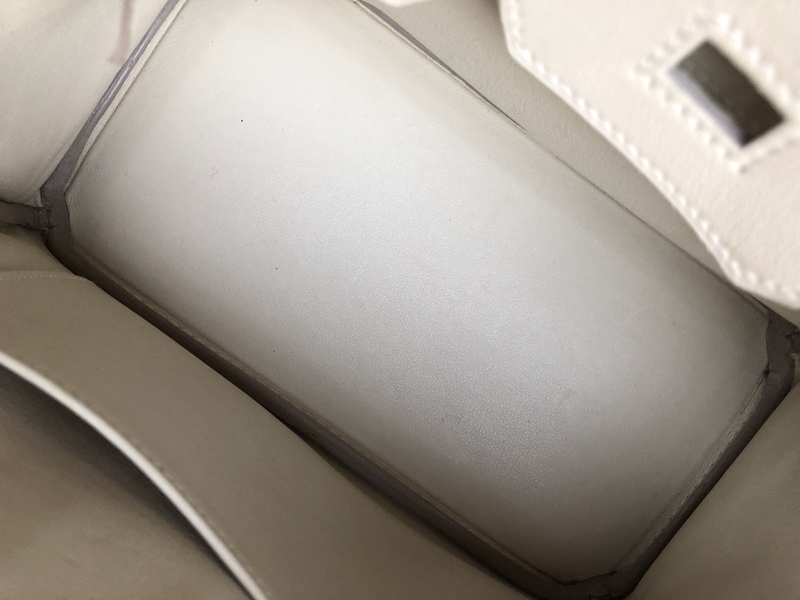 The hardware is color is silver. 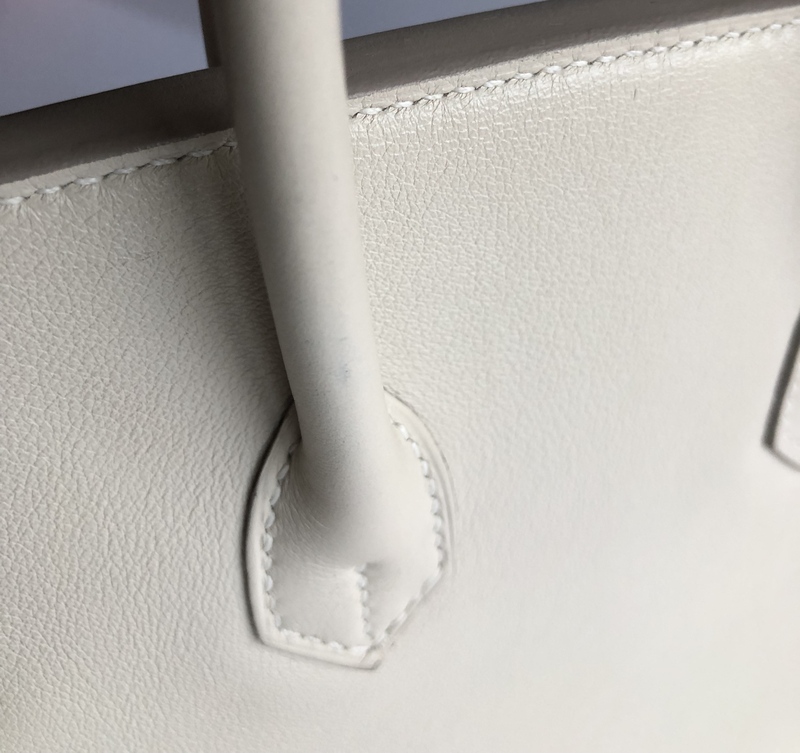 The bottom corners show minor scuffing. 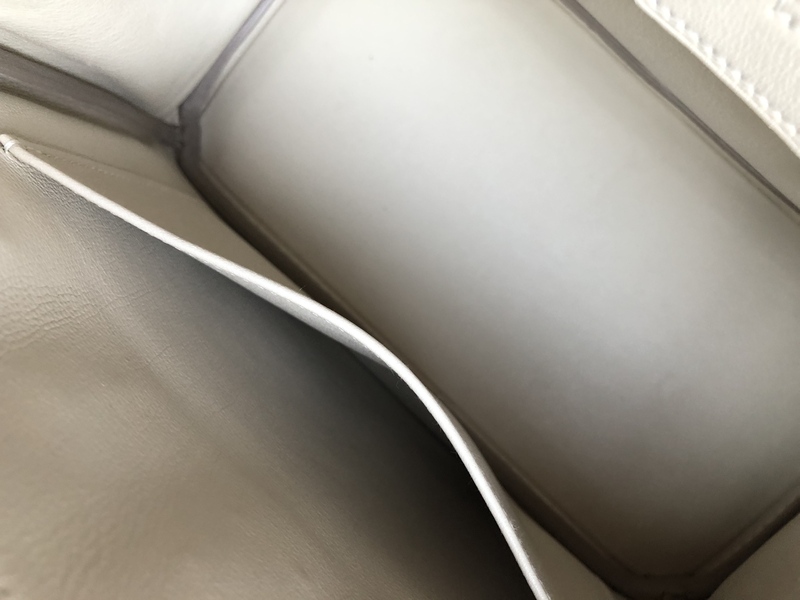 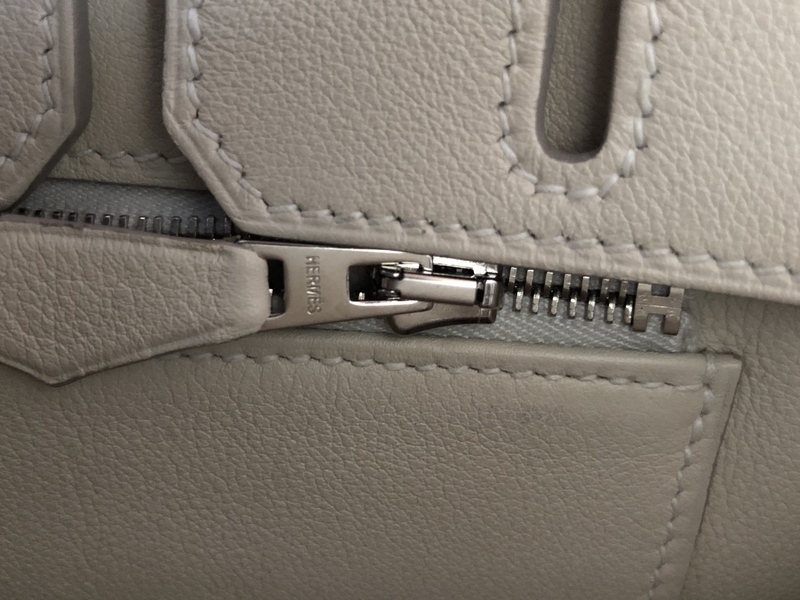 There are a couple of faint scratches on the leather. 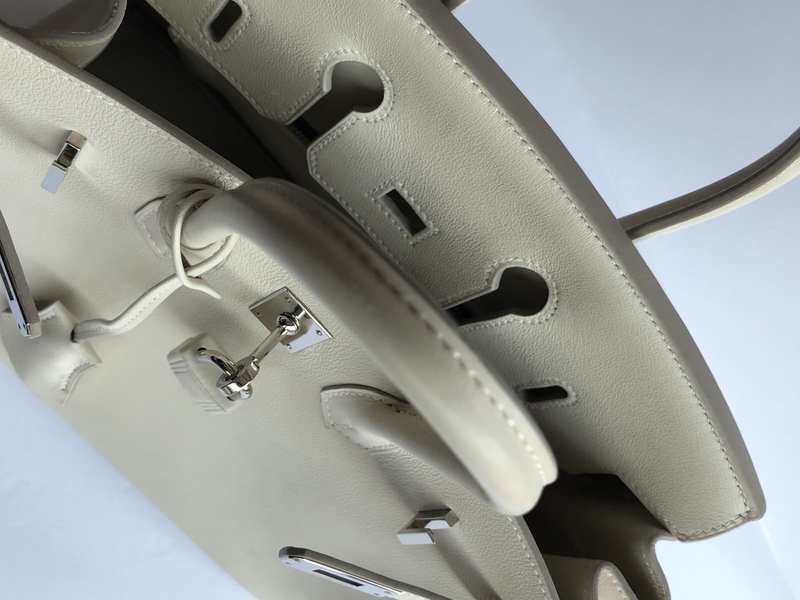 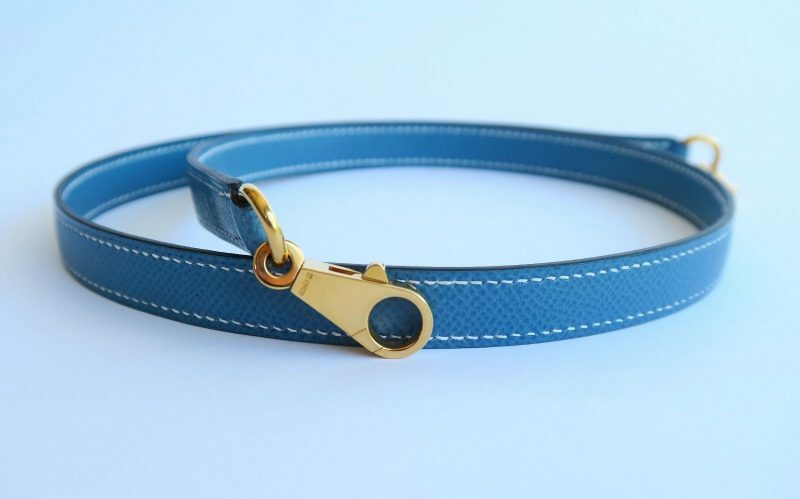 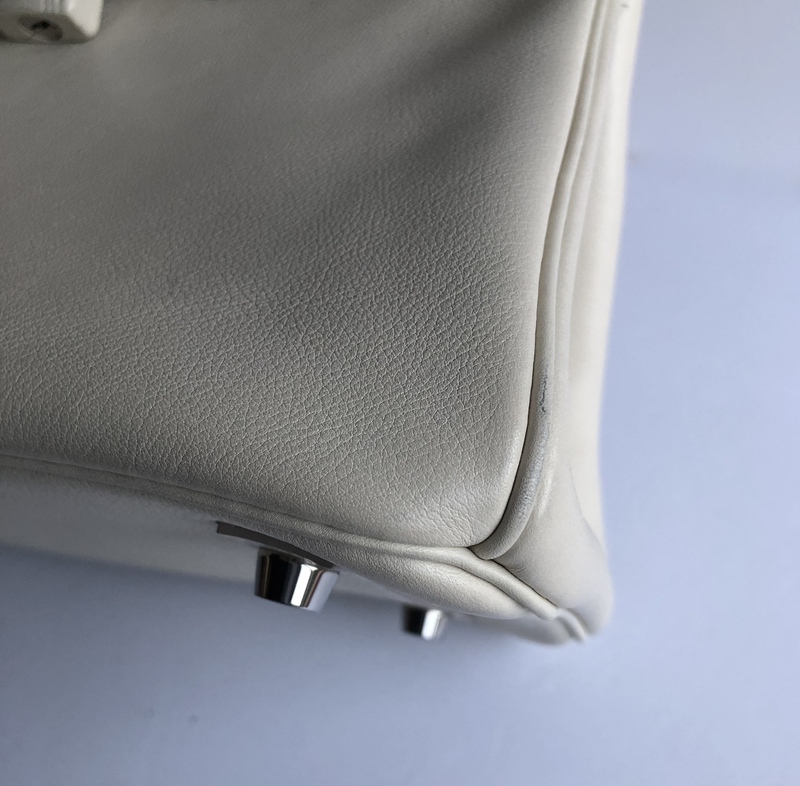 The cadena lock is wrapped around with the matching leather. 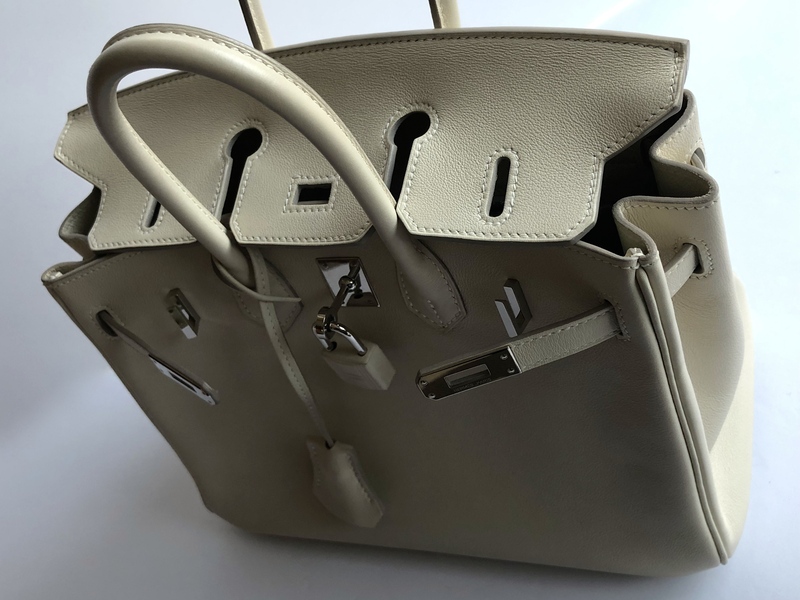 The bag comes with clochett, lock, 2 keys and a sleeper bag.